Inlaid dies are intricate – but lovely! In this video you’ll see little tricks for cutting out a sentiment without “wasting” a piece of watercolor paper too! The palette, by the way, can be seen in the free Preclass lesson in Blue Skies – you don’t have to take the class to see me swatch out each color and decide if you want to try one out. Watch the video below or click HERE to see it in HD on YouTube. UPDATE: She loved the card! And the presentation went really well. Yay! If you haven’t seen the book website yet – go visit HERE. And now you’ll want to go visit the other stops on the hop to see more amazing creations! Sandy Allnock –you are here! What a great idea! Your card is beautiful. I have dies that I’ve wanted to use in a similar way but all the little pieces intimidated me. Thanks to you now I know what to do. Thank you! Yet another great idea! Will have to set aside time to see if I have dies already to try this with and have a play. Sandy, as always, Your skill and creativity just knocks me out! Stunning card. Wow this is beautiful Sandy. These new products from Alexandra are amazing. How to choose???? Thanks, nicely done. Awesome card Sandy, thank you! Wow, wow, wow!! Sandy these are just so beautiful! You are such a talented lady!! Thank you for sharing this gorgeous card! I have never heard of these dies, I love the simplicity. Your cards are amazing. Beautiful technique with these lovely dies! Sandy, I LOVE IT! Your card is so unique. As always….another inspirational blog post! Thank you Sandy for the inspiration!!! Lovely thank you card – interesting dies. Gorgeous cards made with great dies–and awesome coloring as usual! Sandy, your projects are so creative and the best of the blog, in my opinion! You can think “out of the box? which I find hard to do and it’s always an amazing creation. Thanks for sharing your gifts. Such beautiful cards! Love watching you make your magic, Sandy! What a lovely piece of art. I always chuckle to myself when I use the middle of something for the message and No one knows but me! Great, great work, as always, Sandy! Great great work, as always, Sandy! 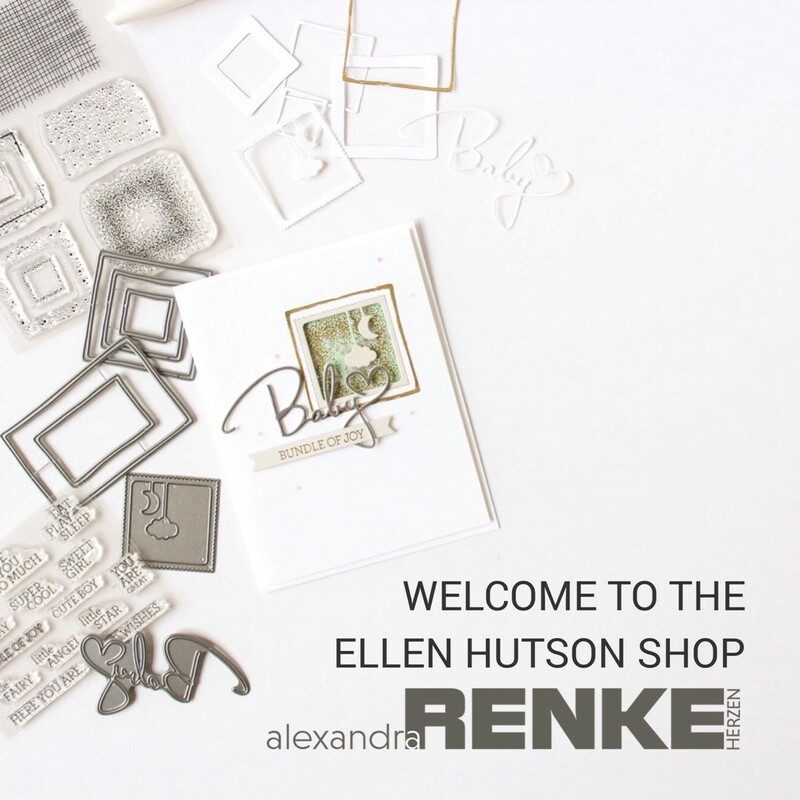 Thank you for featuring Alexandra’s dies. Great great work, as always! I love this! The look is unlike anything I have seen before, which I love!!!!!! Thank you for showing us something entirely different. Gorgeous cards! Thanks for the videos! 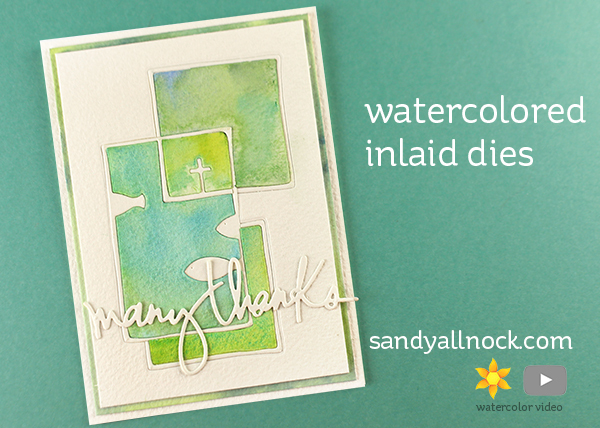 I love the watercolor inleid card especially! I love all your inlaying. It reminds me of a stained glass window. So beautiful! And your floral cards are stunner as well! That’s a very clever and beautiful idea. Thank you, I’ll try that, too. So beautiful! Inlaid dies is one of my favourite techniques! Beautiful! Thanks for the time to make a great video. Much appreciated.